Producer B Leafs teams up with Elzhi, Ras Kass, M-Dot, Large Professor and DJ Slipwax! Gearing up for a MEGA HUGE debut album called The Horizon, producer B Leafs has blessed us with one of the best feature heavy tracks that has dropped in a long time! 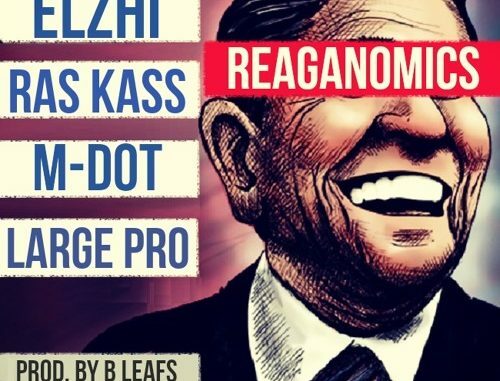 Reaganomics, is a politically charged track about the social class system, government greed and the economic toll it creates! Check it out now!